Before the 1940s silver was once known worldwide as a most powerful antiseptic. Then it was dropped in favour of the newly discovered antibiotics. Read more below product listing. Learn more about silver below the product listing. A natural, powerful, natural antibiotic and preventative against infections. The 1940s ushered in the age of exciting new "miracle drugs", beginning with penicillin. At that time these drugs were considered the most important medical discovery in the battle against infectious diseases. The conquest of infectious disease seemed complete, so much so that the Surgeon General of the United States felt confident to declare in 1969 "The time has come to close the book on infectious diseases". But by 1994, in an address before the American Association for the Advancement of Science, Dr Alexander Tomasz voiced the concern of scientists, clinical microbiologists, medical practitioners and public health professionals about the rapid rise of antibiotic-resistant bacteria. Today we know that medicine's purported triumph over infectious diseases was an illusion. Disease-causing bacteria have become alarmingly resistant to antibiotics. Medical science is, at present, doing nothing more than the equivalent of scrambling around trying to "plug holes in a dike". Prospects for an antibiotic solution to this potential microbial nightmare are grim. The more threatening multi-drug resistant "bugs" that have begun to gain a foothold include Pneumococcus, Staphylococcus aureus, Enterococcus faecium and Tuberculosis, with the prospects of the "white plague" returning upon us with a vengeance. Pneumococcus is the culprit behind outbreaks of pneumonia; it can also cause life-threatening infections of the bloodstream, and meningitis. It is the major "causative agent" of middle ear infections in children and multi-resistant strains of pneumococcus are already among us. Staphylococcus aureus is the most common cause of skin, wound and bloodstream infections in hospitalised patients. A number of strains of Staph. aureus (called MRSA or multiple resistant Staph. Aureus) are now resistant to almost all available antibiotics. In most hospitals, the only remaining line of defence against the spread of MRSA is an antibiotic by the name of Vancomycin. How long it will hold is anybody's guess. Enterococcus faecium has already acquired resistance to Vancomycin. By 1992 it had become the third most frequent agent of hospital-acquired wound and urinary tract infections, septicaemia and endocarditis. At this point in time some strains of this bacterium cannot be killed by any available antibiotic. Infectious disease specialists and doctors believe this situation has been caused by the excessive use of antibiotic drugs. Patients often demand, and doctors often prescribe antibiotics for illnesses such as the common cold and viral infections that will not actually respond to antibiotics. They cannot respond because they are viral. Antibiotics only kill bacteria, and in some cases fungi, but never viruses. Doctors know this and act irresponsibly when they prescribe antibiotics prematurely, not knowing if the infection is due to bacteria or viruses. Every unnecessary dose of antibiotics gives the bacteria another chance to develop resistance to the drug being used. Yet, prior to 1938, colloidal silver was administered in just about every way that modern antibiotics and antiseptics are administered today. It was injected both intravenously and intramuscularly, used as a gargle for throat conditions, applied as a douche, taken orally and applied topically even for sensitive tissues, and dropped into the eyes. The comeback of silver in medicine began in the 1970's when Dr Carl Moyer, chairman of Washington University's Department of Surgery received a grant to develop a better treatment for burn victims. Chief biochemist Dr Margraf worked with Moyer and others to find an antiseptic strong yet safe enough to use over large areas of the body. They reviewed 22 antiseptic compounds before trying silver. Today silver is being used in seventy percent of the burn centres in the U.S.
Colloidal silver may one day become recognised as the most universal antibiotic natural substance that there is. Many forms of bacteria, viruses and fungi use a specific enzyme for their metabolism. Silver effectively disables that enzyme; it has been shown to be toxic to fungi, bacteria, protozoa, parasites and many viruses. Medical uses of silver throughout history have included the use of silver foil and plates to replace missing bone fragments. Silver nitrate has long been prescribed for stomach ulcers. Silver drops are still placed in newborn babies' eyes to kill bacteria. Silver has been used as a cure for herpes, and it is still applied to certain eye, nose and throat infections. A hundred years ago scientists discovered that silver processed in a certain way was excellent for antibiotic treatment. Known as "colloidal silver", it was high-tech for its time, but compared with today's silver colloids, it was technically inferior. One of the drawbacks in the production method used in the early 1900's was the technology available; the silver particles never reached their optimum ultramicroscopic size. A colloid is a substance that consists of ultra-fine particles that don't dissolve, but remain 'suspended' in a liquid. In a true colloid, the particles range in size from about 0.01 to 0.001 of a micron in diameter. They are larger than most molecules, but still invisible to the naked eye. Although a number of different techniques have been developed, in an attempt to achieve a true silver colloid, the best and most effective method is the electrical process since it is the only method which preserves the necessary homogeneity, minuteness of particles, purity and stability to create a true colloid. A true silver colloid is composed of particles of ultra-fine, 99.999% silver, electrically charged and held in suspension in a solution of demineralised water. According to the Colloid Research Foundation, the highest quality colloidal silver consists of the maximum number of particles of the minimum possible size with the ultimate solution having a huge number of particles of one atom, each carrying an electrical charge. A true silver colloid should not contain any artificial stabilizers or chemical additives of any kind, although these are present in some silver products presently on the market. Colloidal silver has been tested at numerous laboratories. It appears to be effective on microbiological organisms, because it carries an electrical charge opposite to that of most pathogens. One researcher, Alfred Searle, in describing the effects of silver, states that for internal administration silver is "rapidly fatal to parasites, both bacterial or otherwise, without any toxic action on the host." N R Thompson of the Runcorn Health Laboratory in Cheshire, England states, "to primitive life forms . . . silver is as toxic as the most powerful chemical disinfectants . . ."
Colloidal silver has also been tested at UCLA Medical Laboratories. The report states, "The silver solutions were antibacterial for concentrations of 105 organisms per 105 ml of Streptoccus pyogenes, Staphylococcus aureus, Neisseria gonorrhea, Gardnerella Vaginalis, Salmonella Typhi and other enteric pathogens. It is also fungicidal for Candida albicans, Candida globate, and M furfur". Some scientists now believe that a silver deficiency may be responsible for some of our modern diseases. People who have low silver levels have been found to be more frequently sick and to have innumerable colds, flu, fevers and other illnesses. 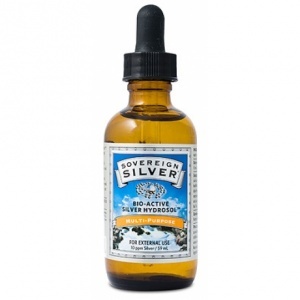 Medical journal reports and studies have indicated no known side effects from use of colloidal silver. The Colloid Research Foundation reports that "the concentration of silver necessary to sterilize water is between 0.04 to 0.2ppm". The Foundation concludes that it is therefore obvious that a concentration of 10 to 30 ppm will be a sufficient concentration to be effective as well as safe to consume on a regular basis. Even if several ounces of colloidal silver at a concentration of 10 ppm were consumed on a daily basis for several years this would be well below any toxicity level. Higher concentrations above 30 ppm of silver are not necessarily going to be more effective. Dr Henry Crooks has found that silver in the colloidal state is highly germicidal, quite harmless to humans, and non-toxic. It is not addictive and the body doesn't build up a tolerance to it. It has absolutely no negative effect on any human organ. It is tasteless, odourless, non-stinging, non-burning, and harmless to the eyes and skin. It can be mixed with other medications without incident and it's perfectly safe for children, even pets. The conclusion of extensive ongoing medical studies was stated by Sir Malcolm Morris, "Colloidal silver is free from the drawbacks of other preparations of silver . . . instead of producing irritation is has a distinctly soothing effect."